Roger Fishman and Courtney Thorne-Smith at the Pink Party To Benefit Cedar-Sinai Women's Cancer Research Institute. Roger Fishman, Courtney Thorne-Smith and Elyse Walker at the Pink Party To Benefit Cedar-Sinai Women's Cancer Research Institute. Courtney Thorne-Smith at the premiere of "Charlie's Angels." Courtney Thorne-Smith and Jane Krakowski at the Second Annual Los Angeles Benefit for Project A.L.S. Courtney Thorne-Smith attends the ABC Network All-Star Party. Courtney Thorne-Smith at the ceremony posthumously honoring actor/comedian John Belushi. Courtney Thorne-Smith at the Golden Globe Awards. Courtney Thorne-Smith at the 4th Annual Screen Actors Guild Awards. 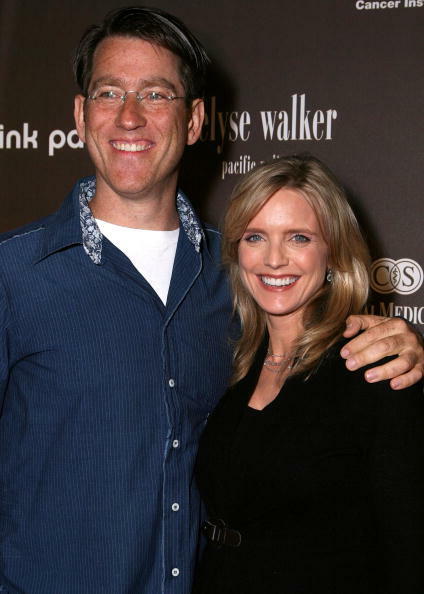 Courtney Thorne-Smith at the screening of the "Lost World." Undated File Photo of Courtney Thorne-Smith. Courtney Thorne-Smith at the 56th Annual Golden Globe Awards. Courtney Thorne-Smith at the ABC upfront. Courtney Thorne-Smith poses for a photo during an in-store appearance to sign copies of her debut novel "Outside In." 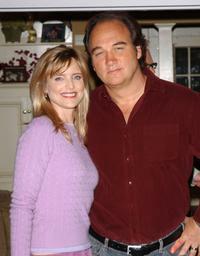 Courtney Thorne-Smith and Jim Belushi at the "According To Jim" 100th Episode celebration. Courtney Thorne-Smith at the John Varvatos 3rd Annual Stuart House Charity Benefit. Courtney Thorne-Smith at the ABC Primetime Preview Weekend 2004. Courtney Thorne-Smith and Rachael Ray on the "Rachael Ray" show.